NRL Team Talk Round 3, 2018. THE teams for Round 3 have been released. Storm: 1 Billy Slater, 2 Suliasi Vunivalu, 3 Will Chambers, 4 Curtis Scott, 5 Josh Addo-Carr, 6 Cameron Munster, 7 Brodie Croft, 8 Jesse Bromwich, 9 Cameron Smith (c), 10 Nelson Asofa-Solomona, 11 Joe Stimson, 12 Ryan Hoffman, 13 Dale Finucane. Interchange: 14 Tim Glasby, 15 Kenny Bromwich, 16 Christian Welch, 17 Sam Kasiano. Reserves: 18 Young Tonumaipea, 19 Tui Kamikamica, 20 Billy Waters, 21 Brandon Smith. SuperCoach Analysis: Felise Kaufusi still sidelined with a hamstring injury with Joe Stimson named to start in the back-row. SupeCoach Analysis: Cowboys name Michael Morgan to start , Te Maire Martin to the bench, Corey Jensen to the reserves. Coen Hess moves into the starting side for Ethan Lowe. SuperCoach Analysis: Benji Marshall's brother Jeremy Marshall-King will start at five-eighth, with Matt Frawley dropped and Nu Brown taking the bench utility role. Aiden Tolman starts at lock, pushing Adam Elliott back to the bench. 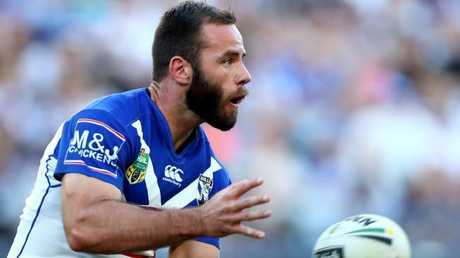 Matt Frawley has been left out of the Bulldogs side. 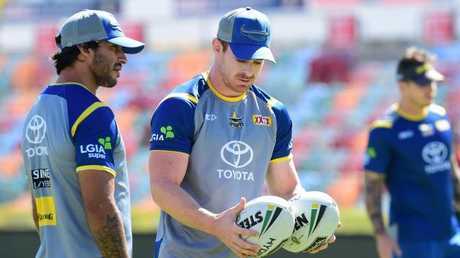 SuperCoach Analysis: Elijah Taylor is out with Matt Eisenhuth starting at lock and Michael Chee Kam coming onto the bench. Fullback Tuimoala Lolohea remains sidelined. Broncos: 1 Darius Boyd (c), 2 Corey Oates, 3 James Roberts, 4 Tom Opacic, 5 Jamayne Isaako, 6 Anthony Milford, 7 Kodi Nikorima, 8 Matthew Lodge, 9 Andrew McCullough, 10 Tevita Pangai Jnr, 11 Alex Glenn, 12 Matt Gillett, 13 Josh McGuire. Interchange: 14 Sam Thaiday, 15 Joe Ofahengaue, 16 Korbin Sims, 17 Jaydn Su'A. Reserves: 18 Sam Tagataese, 19 Jack Bird, 20 Jonus Pearson, 21 Todd Murphy. SuperCoach Analysis: Jordan Kahu (jaw) is replaced by Tom Opacic at centre. 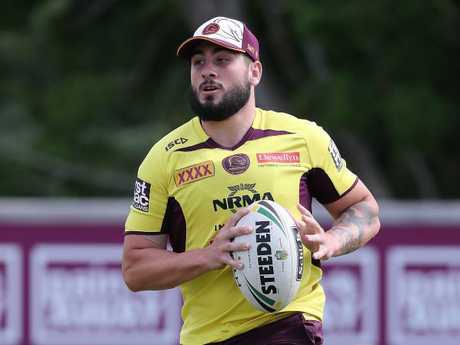 Big-name recruit Jack Bird has been named in the reserves and word is he is chance of lining up for his first game at the Broncos. Bird would replace Opacic at centre. Tevita Pangai Junior retains his place in the starting side. SuperCoach Analysis: The popular BJ Leilua is named at centre despite suffering what looked to be a serious ankle injury against the Knights. While scan results haven't been revealed, it is likely Leilua will drop out of the team although the injury may not be as bad as first thought. Aidan Sezer has been named to start with Blake Austin dropping to the bench. Liam Knight is named on the bench to replace the injured Charlie Gubb. 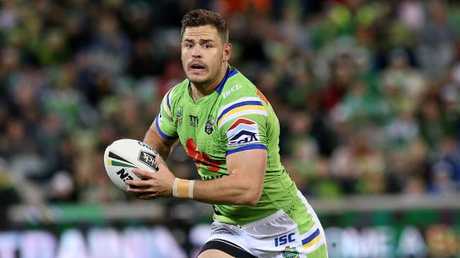 Aidan Sezer has been named to start at five-eighth for the Raiders. SuperCoach analysis: Leivaha Pulu starts for Isaiah Papali'i (knee, six weeks) and Agnatius Paasi joins the bench with Simon Mannering not yet back from a shoulder injury. Mannering's exclusion is good news for Ligi Sao owners as he looks set for a very nice price rise. SuperCoach Analysis: Tyrell Fuimaono (dislocated toe) is replaced on the bench by Hymel Hunt. Greg Inglis (concussion) has been named but will need to pass protocol. Cameron Murray again starts at lock. SuperCoach Analysis: No changes to the 17 following last week's demolition of the Eels, although Darcy Lussick (ankle) has been added to the reserves as he pushes for a comeback. 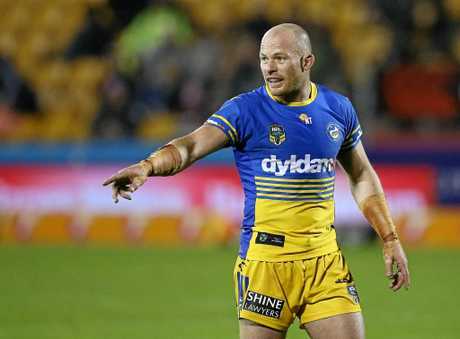 SuperCoach Analysis: Coach Brad Arthur has responded to last week's drubbing by bringing veteran Beau Scott back into the side on the bench, with Will Smith dropping out of the 17. Kenny Edwards (ankle) returns from injury in place of Brad Takairangi (injury). Daniel Alvaro returns to the starting side in place of Kane Evans. SuperCoach Analysis: Young gun Jesse Ramien has been called in at centre in place of Aaron Gray. Luke Lewis has been named on an extended bench as he aims to return from a foot injury. SuperCoach Analysus: Halfback Ash Taylor returns from a hamstring niggle, pushing Bryce Cartwright back to lock and Will Matthews to the bench. Jarrod Wallace returns from a two game suspension on the bench, although he will be in strong contention to start in the front-row on game day. Dragons: 1 Matthew Dufty, 2 Nene Macdonald, 3 Euan Aitken, 4 Tim Lafai, 5 Jason Nightingale, 6 Gareth Widdop (c), 7 Ben Hunt, 8 James Graham, 9 Cameron McInnes, 10 Paul Vaughan, 11 Tyson Frizell, 12 Tariq Sims, 13 Jack De Belin. Interchange: 14 Luciano Leilua, 15 Kurt Mann, 16 Leeson Ah Mau, 17 Hame Sele. Reserves: 18 Jeremy Latimore, 19 Zachary Lomax, 20 Reece Robson, 21 Blake Lawrie. SuperCoach Analysis: Jeremy Latimore has again been named in No.18 but will likely come into the side on game day for Hame Sele, as per the late change for the last two weeks. Roosters: 1 James Tedesco, 2 Reece Robinson, 3 Latrell Mitchell, 4 Joseph Manu, 5 Blake Ferguson, 6 Luke Keary, 7 Cooper Cronk, 8 Sio Siua Taukeiaho, 9 Jake Friend (c), 10 Dylan Napa, 11 Boyd Cordner (c), 12 Ryan Matterson, 13 Isaac Liu. Interchange: 14 Jared Waerea-Hargreaves, 15 Zane Tetevano, 16 Mitchell Aubusson, 17 Victor Radley. Reserves: 18 Nat Butcher, 19 Kurt Baptiste, 20 Mitchell Cornish, 23 Frank-Paul Nuuausala. 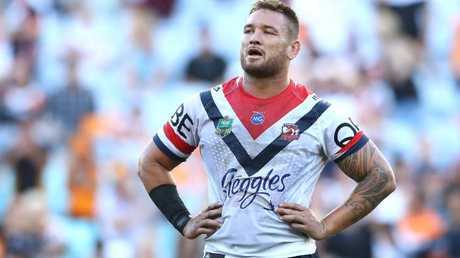 Jared Waerea-Hargreaves has been moved to the Roosters bench. 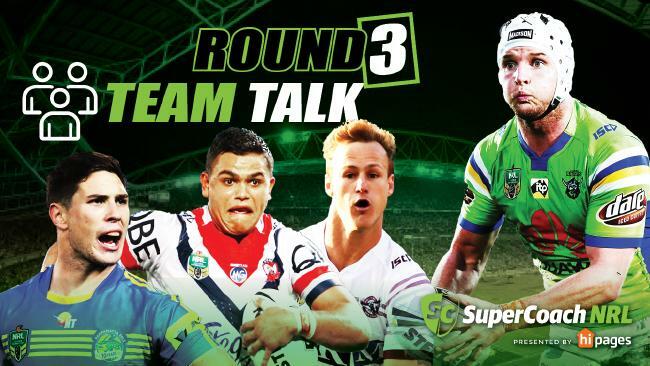 SuperCoach Analysis: Daniel Tupou (pectoral) is replaced on the wing by Reece Robinson. Jared Waerea-Hargreaves has been benched, with Dylan Napa returning to the starting side. Mitchell Aubusson retains his bench spot despite a nasty head gash last week. Recruit Frank-Paul Nuuausala has been included on the extended bench. Knights: 1 Kalyn Ponga, 2 Shaun Kenny-Dowall, 3 Sione Mata'utia, 4 Tautau Moga, 5 Nathan Ross, 6 Connor Watson, 7 Mitchell Pearce (c), 8 Herman Ese'ese, 9 Slade Griffin, 10 Jacob Lillyman, 11 Lachlan Fitzgibbon, 12 Aidan Guerra, 13 Mitchell Barnett. Interchange: 14 Brock Lamb, 15 Chris Heighington, 16 Jamie Buhrer (c), 17 Daniel Saifiti, Reserves: 18 Ken Sio, 19 Jacob Saifiti, 20 Danny Levi, 21 Luke Yates. SuperCoach Analysis: Jamie Buhrer returns on the bench pushing Jacob Saifiti to the reserves in the Knights' only change.